Barnbrook loved working with David Bowie, he was simply one of the most inspirational, kind people we have met. 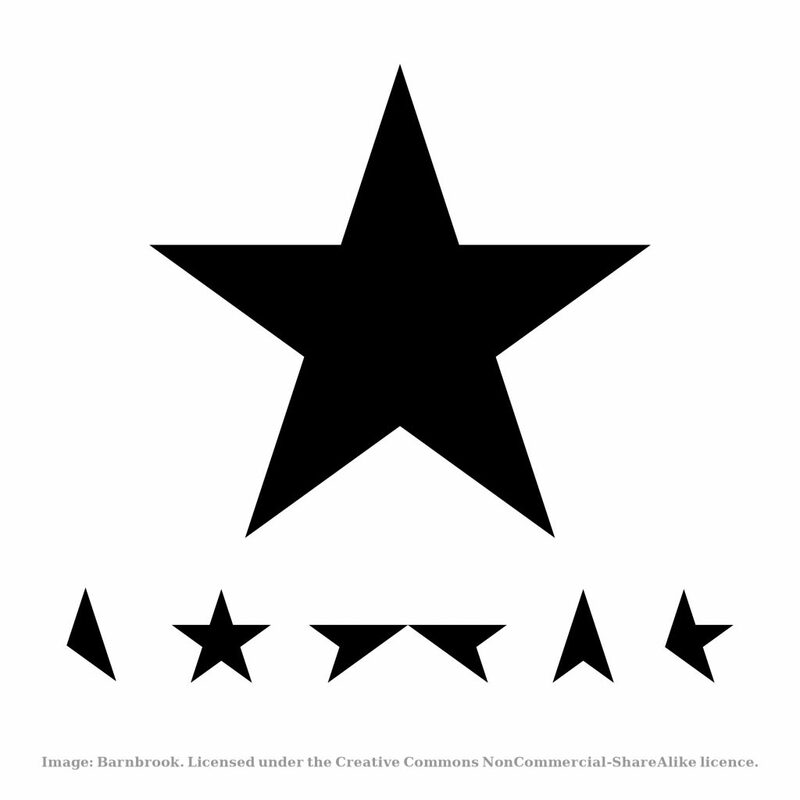 So in the spirit of openness and in remembrance of David we are releasing the artwork elements of his last album ★ (Blackstar) to download here free under a Creative Commons NonCommercial-ShareAlike licence. That means you can make t-shirts for yourself, use them for tattoos, put them up in your house to remember David by and adapt them too, but we would ask that you do not in any way create or sell commercial products with them or based on them. Barnbrook was the creative force behind Heathen (2002), Reality (2003) and The Next Day (2013). In this in-depth interview, the designer talks about his approach to creating a visual language for Blackstar, whose design elements can now be freely downloaded here.